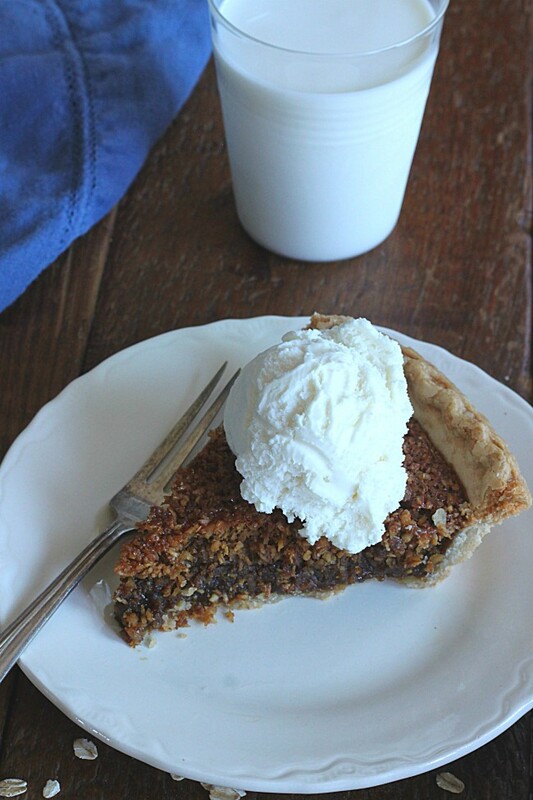 An old-fashioned recipe dating back to the Civil War era, oatmeal pie is rich in history as well as flavor. 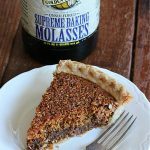 Try making it with molasses or without, based on your preference. 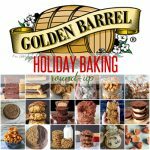 While searching for recipes that feature a Lancaster County flavor, I leafed through a Golden Barrel cookbook, The Sweet Taste of Tradition, and saw a recipe for oatmeal pie. My curiosity was piqued and I was soon researching this old-fashioned favorite. 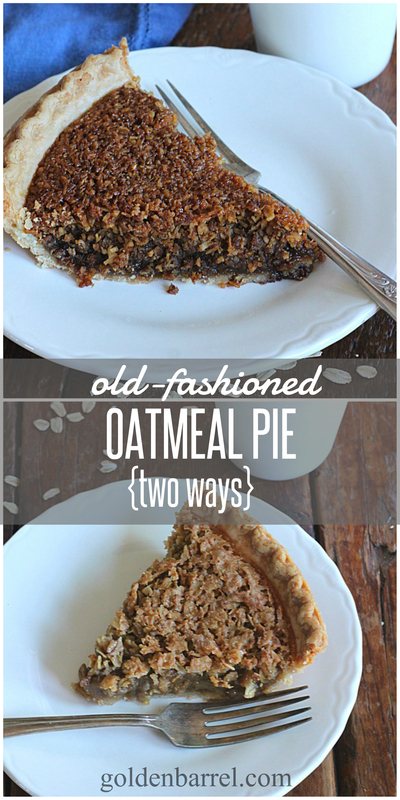 What I discovered is that oatmeal pie has been around for a very long time. 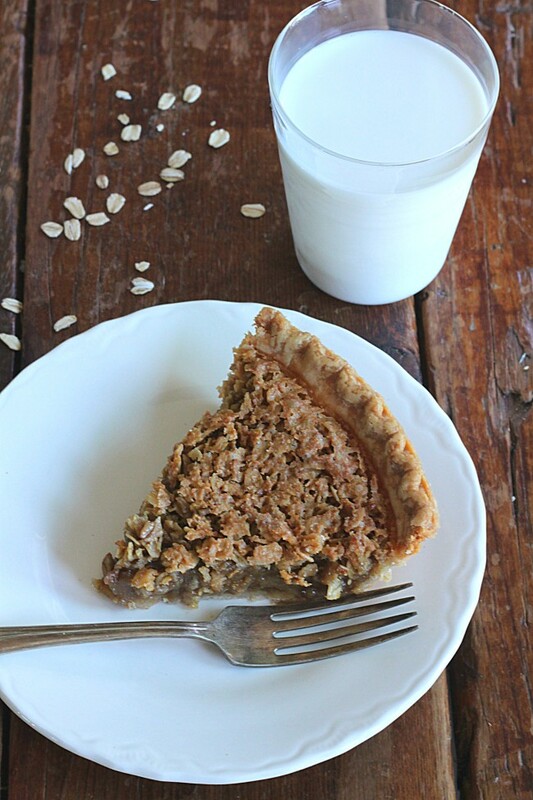 During the Civil War when pecans were in short supply, oatmeal was used in place of pecans to mimic the taste of that Southern classic–pecan pie. Thus, it’s also known as “poor man’s pecan pie” or “mock pecan pie.” Another time in U.S. history when oatmeal pie was popular was during the Great Depression when everything was in short supply. 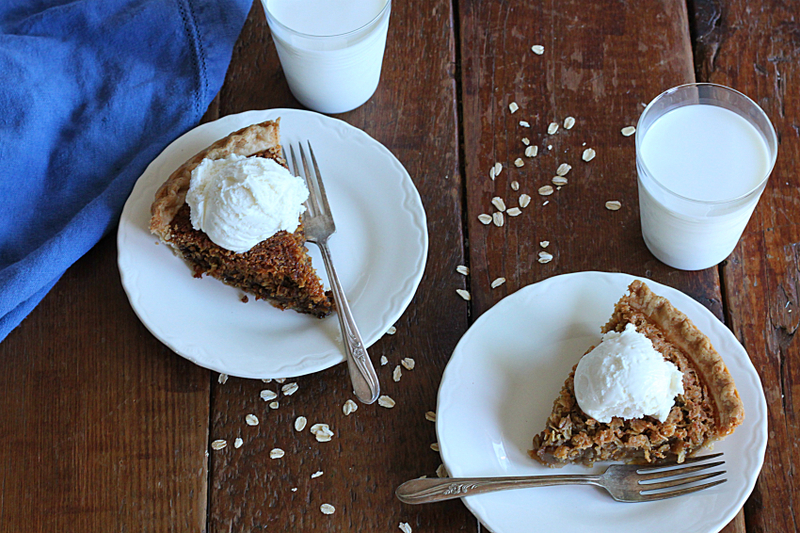 Oatmeal pie is made with basic ingredients that were and still are in most of our pantries. 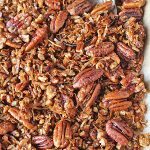 So seeing that pecan pie is one of my absolute favorites, I knew I had to give this recipe a try. But I wanted to experiment a bit with it. There are a bunch of different recipes out there for oatmeal pie so I thought it would be fun to make a couple varieties and let YOU decide which one is best. 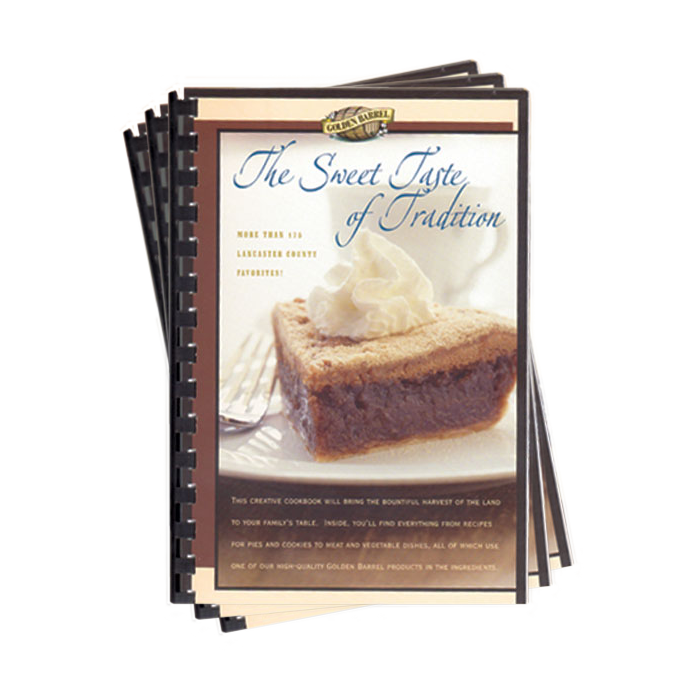 The first one, which is the pie featured in Golden Barrel’s cookbook, uses baking molasses in it. 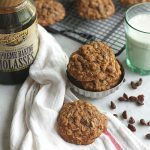 When molasses is used in a recipe you can be sure the flavor is full-bodied and rich. This pie turned out significantly darker than the other one I made. And it also has coconut flakes in it. Another recipe I found while researching was one that uses brown sugar as its main sweetener. This one looks and tastes more like pecan pie, as it has a crunchy top and gooey center. I just used store-bought crusts for these recipes. Feel free to do the same, or use your favorite pie crust recipe or Golden Barrel’s coconut oil pie crust recipe. Both pies are sweet, but this one has a bit more of a syrupy center. Both pies, as well, are perfect for those who have nut allergies and aren’t able to eat pecan pie. Add a scoop of ice cream on top, and you’ve got a tasty treat on your hands. Many people recall their grandmother making such a pie and it brings back memories of simpler days. 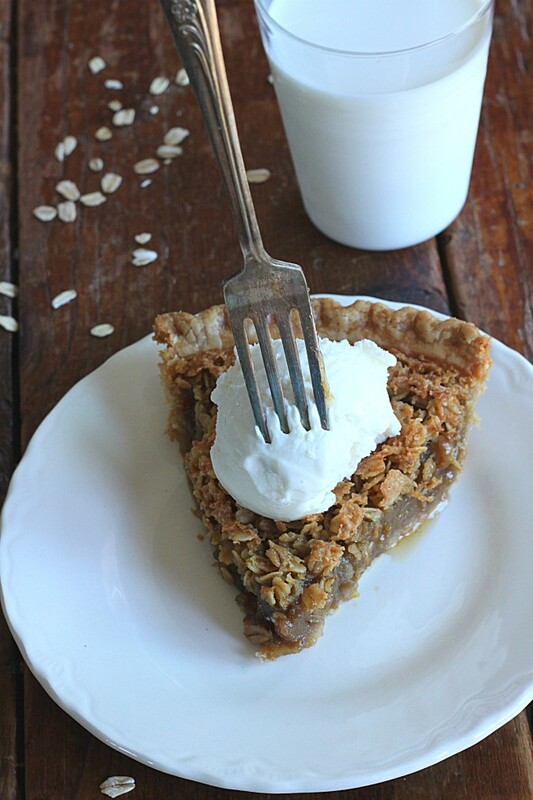 Some have oatmeal pie just like they would pecan pie at their annual Thanksgiving Day dessert table. And then there are many like me, who have never heard of it! Whatever the case may be, now’s the time to whip up one (or both!) of these pies and treat yourself to this old-fashioned favorite. So which one would you try? 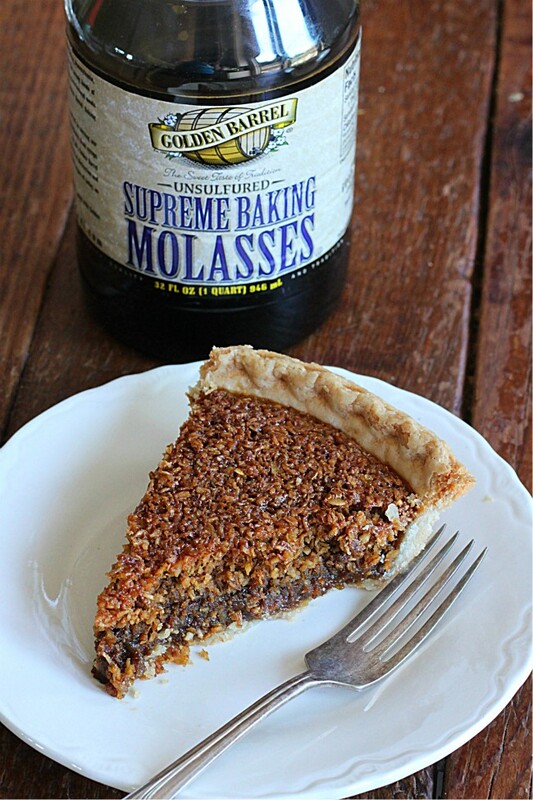 Pie made with molasses has a full-bodied and rich taste with a darker color. 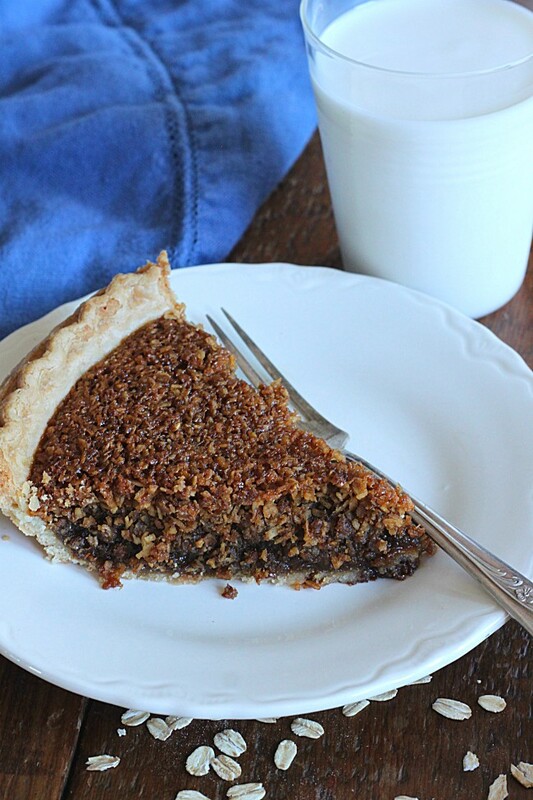 Pie made with brown sugar tastes more like pecan pie with a crunchy top and gooey center. Combine all ingredients and mix with stand mixer until smooth. Place in an 8" pie unbaked pie shell and bake for 15 minutes at 350 degrees. Reduce heat to 325 degrees and bake for an additional 30 minutes. Let cool before slicing. Serve with ice cream. In a medium bowl, combine ingredients and mix well. Pour into an unbaked pie shell. Bake at 350 degrees for 45-50 minutes or until the pie is cooked through.